Our Chrysler, Dodge, Jeep, and RAM dealership near Chester stocks all the latest models of trucks, SUVs, and cars. Whitten Brothers loves to provide our customers with an excellent new or used car buying experience. Chester, Virginia is located south of the city of Richmond in Chesterfield County. The town is bounded by Richmond, Petersburg, Colonial Heights, and Hopewell and began as a stop on the Richmond and Petersburg Railroad. Chester had a population of 17,890 people at the 2000 census and has grown in recent years. Current major employers in Chester include Capital One, Target, General Dynamics Information Technology, Walmart, and Amazon.com. Our full selection of Chrysler Dodge Jeep and RAM new cars and trucks near Chester is online now. Look through our new inventory online and contact the friendly Whitten Brothers team for assistance once you find a model you’d like to see. Our team will explain the features of each car, truck, or SUV and help you decide which one is right for your lifestyle. Are you searching for a used or certified pre-owned car, SUV, or truck near Chester? Whitten Brothers has a wide selection of used car models for every budget. Our full inventory of popular pre-owned car models is available online now with makes like Chrysler, Dodge, Jeep, RAM, Mazda, Honda, Ford, and Toyota. Once you find a used vehicle, contact our team for more information. Our innovative pricing and helpful sales team will make finding your next used vehicle near Chester easy! 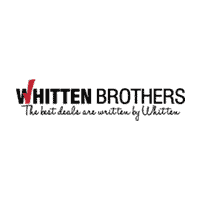 Whitten Brothers near Chester has competitive car loan rates for new and used cars, trucks, and SUVs. Our financial team would love to assist you with car leases and loans – even if you don’t have great credit. Contact our financial experts today to learn more about how we can help you finance your next vehicle. If you’re looking for car parts or service near Chester, Whitten Brothers can help! Our Mopar Parts Departments has you covered with authentic OEM parts for your vehicle. Our Mopar Service department provides oil changes, alignment, fuel induction, transmission fluid, and tire rotation every day. Contact our parts or service department today to learn more! Visiting Whitten Brothers from Chester? Follow our directions from John Tyler Community College – Chester Campus to Whitten Brothers of Richmond. Turn right from John Tyler Drive onto US-1 N/US-301/Jefferson Davis Highway. After 2.2 miles, use the right lane to merge onto VA-288 N/US-360/VA-76 N.
After 3.1 miles, exit at State Route 604/Courthouse Road. Continue on State Route 604 for 7.2 miles. Turn right onto Midlothian Turnpike. Whitten Brothers will be on your right. Looking for a Vehicle Near Chester? Contact Us!